Spirit Objectified: The "Austerity" Economics of "New Materialism"
"Theory Too Becomes A Material Force": Militant Materialism or Messianic Matterism? While, on the surface, what is being represented as a planetary ethics of the kind Derrida calls "unconditional hospitality" (Of Hospitality 25) might appear to introduce a new level of attention to the effects to the capitalist system of production, what is actually at work in the North Left's deconstruction of the "normative sense of the human" is an erasure of the very causes of the contradictions of contemporary life, namely the exploitation of labor that is at the core of capitalism itself. In other words, under the guise of a new focus on the global and the economic, what is actually meant by "New Materialism" is the same dematerializing of reality that has long fascinated left theory. This new "ethical" turn toward "reality" is, in actuality, the ideology of "caring" capitalism for an age of austerity. However, before examining the claim of the "New Materialists" that central to the contradictions of global capitalism is a flawed set of cultural assumptions which "normalize" the relations between humanity and nature and, in turn, reduce the non-human world to little more than the objects of a destructive instrumental logic, it is necessary to examine the material conditions which constitute the world in which we live. In other words, in order to understand arguments about the world, we must begin not with "assumptions" about humanity, but rather in the conditions which exist outside of those assumptions, in the material conditions of production. No matter whether we are discussing how individuals experience the world on a local level or whether we are talking about broad cultural frameworks which come to dominate a society at a particular time, these are the expressions of the level of development of what Marx called the "social fabric" of humanity, namely the development of labor at a particular historical moment (Economic 86). Insofar as "reality" is the product of labor, debates over the status of "reality" and the objects and relations within it are, in turn, reflections of labor relations at the level of consciousness. Under capitalism, it is the exploitation of labor which shapes all debates over reality. For example, debates over the status of "reality" and "objectivity" in some of the foundational texts of bourgeois theory—namely, the empiricism of Locke, Hume and Bacon, in which human interactions with the world were said to be reflections of the senses; the transcendental cognition of Kant's critique in which the focus shifts from a posteriori reflection to the a priori existence of concepts; and the Hegelian critique of both empiricism and Kant's transcendental philosophy in favor of a dialectical understanding of the interrelations of subjective and objective reality—are less a progressive unfolding of an idea, or a "normative" reduction of existence to human agency, but reflect the contradictory forces and relations of labor that both drive and limit capitalist society. As Engels writes in the Dialectics of Nature, "If, after the dark night of the Middle Ages was over, the sciences suddenly arose anew with undreamt-of force, developing at a miraculous rate, once again we owe this miracle to production" (466). In other words, the emergence of scientific practices in the West and the turn away from religious superstitions was not a fortuitous "event," but is understandably the result of systemic economic imperatives that derived from such changes in production as the enclosure of the commons, the commodification of labor, the universalizing of private ownership of the means of production, and the opening up of the world market, all of which rewarded technological innovation and rationalization. This connection between ideas and material conditions is why it is not surprising that Locke should open his foundational work An Essay Concerning Human Understanding by situating his inquiry into the basis of human knowledge in everyday life. He writes, "our business here is not to know all things, but those which concern our conduct" and that what "concerns our conduct" is the same as a sailor who may not be about to "fathom all the depths of the ocean" nonetheless must know "the length of his line" (65). That is to say, this allusion to sailing is not a simply a random reference, but one which reflects the importance of a growing international commerce, something which is central to Locke's arguments about labor and the value of land in which he defends colonization as producing value through a more productive use of labor than indigenous populations were said to have developed: "it is labour…which puts the greatest part of value upon land without which it would scarcely be worth anything" (Two Treatises on Government 26). In addition, it demonstrates that questions of epistemology and ontology are at the same time always questions about the organization of production that is their basis. When Locke proposes that "the senses at first let in particular ideas, and furnish the yet empty cabinet [of the mind]" before "the mind further abstracts them and by degrees learns the use of general names" (72) he is speaking about and from a society which is benefiting from the developments of labor in objectifying the world and, in turn, requires further scientific advances as a means for increasing the productivity of labor as the basis of social development. In other words, Locke's empiricism is not simply a defense of science, but it is a defense of science under the specific historical conditions of an emerging capitalist economy. One sees in Locke's empiricism both a kind of spontaneous materialism in which the senses are taken in their immediacy as the basis of an object's "value," and, at the same time, the emerging ideology of what Marx called "commodity fetishism" or the ways in "the relation of the producers to the sum total of their own labour is presented to them as a social relation, existing not between themselves, but between the products of their labour" (Capital Vol. I 83). When Locke argues that "the ideas of primary qualities of bodies are resemblances of them and their patterns really do exist in the bodies themselves" and yet that "the ideas produced in us by these secondary qualities have no resemblance in them at all" (114), it is a reflection of a society in which the value of an object is not tied only to what it "is" (its use-value), but is developing a value above and beyond its use (namely, its exchange value on the market). It is a world that both requires the empiricism of science to unlock labor productivity, but at the same time one in which the value of the commodities produced is no longer based solely on their use. It is the growing force of capitalism's elevation of exchange value over use value which frames Kant's attempts to combine the empiricism of Locke and Hume with the idealism of their religious challengers, such as Berkeley. In Critique of Pure Reason, while Kant agrees with Locke and argues that "there is no doubt whatever that all our cognition begins with experience" (136), he nonetheless opens a space between "reality" as it is experienced and objects in reality as they exist independently of the immediacies of experience, ultimately placing the conditions of existence beyond the realm of human understanding. This is what Kant calls the distinction between "beings of sense (phaenomena)" and things which "are not objects of our senses at all" or "beings of understanding (noumena)" (360). In formulating this distinction, Kant expands upon Locke's initial separation between the immediacies of experience and conceptual knowledge by dividing "reality" into entirely separate realms of perception and actuality. He could begin to see the contradictions within the object, but reduces these contradictions to "antimonies" between perception and the material world. While objects might be perceptible at a sensory level, according to Kant "the objective validity of sensible cognition" is limited and does not exhaust an object's possible meanings at the transcendental level of "pure understanding" (362). That is to say, if Locke's arguments about the empirical basis of knowledge reflected a world in which the developments in the productivity of labor required a more scientific approach, Kant's transcendentalism is the expression of a world in which the productivity of labor advanced the capacities of human society beyond the "reality" of local and immediate experience, requiring a much more abstract and complex understanding of the world. In other words, an object exists as a contradictory process of negation between being and becoming and it is in the idea, a product of human reason, that one finds "the absolute unity of the concept and objectivity" (120). Unlike Kant, for Hegel the subjective and the objective are not distinct and independent realms, but exist in a dialectic relation of becoming and negation in which each is in the other. However, Lukàcs continues, the problem with Hegel's idealist articulation of the dialectic is that "Hegel fell into the illusion of conceiving the real as the product of thought concentrating itself, probing its own depths, and unfolding itself out of itself" (28). That is, Hegel, while theorizing "reality" as the relation of subjectivity and objectivity, ultimately sided with the subjective aspect of social relations. While recognizing that "human nature only really exists in an achieved community," it was for Hegel "an achieved community of minds" (emphasis mine) (Hegel, Encyclopedia 41). Marx's revolutionary approach, and what enables Marxism to be a transformative theory of society rather than a simply descriptive one, was to turn Hegel's dialectic upside down by explaining why "general consciousness is only the theoretical shape of that of which the living shape is the real community" (Economic 86). In other words, it is not ideas of reality which shape existence, but existence made possible by human labor that shapes ideas. While some stones might be hard but malleable, and other stones soft and unfit for cutting, it is not their simple existence which determines their use. Rather, it is human labor which objectifies reality and, in turn, makes the objects of reality, as Marx explains, "an objectively human relation to itself and to man" (Economic 87). This is why reality—the relations between people, objects, nature, and ideas—are "the manifestation of the human world" (Economic 87) and it is only from the perspective of labor that we can understand the objects and relations which constitute "reality" as it is experienced. It is only by beginning outside of "reality," in the material conditions of existence determined by labor, that we can understand why debates over "reality" are always part of the broader class struggle over the material resources produced by labor and, in turn, over the whole structure of production in which the exploitation of labor produces massive wealth for a few and poverty for the many. In a new era of capitalist crises, when "New Materialist" writers such as Timothy Morton call for a return to reality through an "Object-Oriented Ontology" in which reality is compared to "magic," because "what we take to be the object 'behind' its appearance is really a kind of perspective trick caused by a habitual normalization of the object in question," it becomes clear that the North Left's mystification of reality is being celebrated and endlessly published not because it enables people to understand the world around them, but because it prevents anyone from understanding it. In other words, at the core of the definition of "realism" as accepting "some contradictions are true"—by which Morton means un-dialectical, without negation, and therefore beyond transformation—is the acquiescence of left theory to the ongoing rule of capital. The New Materialists' image of a world in which cause and effect are blurred is in actuality an economic theory in which the immaterialities of finance and consumption are presented as having overcome the reality of production. This is the ideological reflection of a reality devoid of labor in the interests of capital. In contrast, Edwards claims to be concerned with producing "an ongoing analysis of the current social and political conditions of contemporary capitalist societies in light of their historical development, their embedded institutions and practices, and the contingent circumstances that serve to reproduce them—or threaten their reproduction—over time" (282). What such an analysis amounts to, he proposes, is the need to grasp capitalism as "a complex totality" (286) in which "the character of these practices in any given setting is not easily or neatly drawn out on a conceptual tableau in which the economic has primacy and is a straight forward synonym of the material" (284). He writes that "the materialism of historical materialism should be seen as more of a heuristic for social and political study, rather than a set of explanatory theses" (282). In other words, the role of theory should be to make educated, experiential guesses about reality with no hope of understanding how different aspects of that reality are connected, rather than attempt to understand and explain reality as a totality. It is in this context that we can begin to see the way in which what is being called "New Materialism" is about putting forward a theory of "reality" in which the exploitation of labor is rendered secondary to a diverse "network" of exchanges, and the relations between capital and labor, production and consumption, ideology and science,… are rendered fuzzy and indistinguishable. It is on the basis of an "openness" that Edwards advises we need to accept that society cannot be studied as a "metatheory of the successive development of modes of production…but an open totality" (291) which resists any "closure." "Fixed" or "closed" here means the primacy of the economic and the very possibility of theorizing the social totality of capitalism as an expression of its underlying logic in favor of an "aleatory totality" that never draws conclusions or, in fact, challenges capitalism's basis in exploitation. Society, he declares, operates as a network of "relatively autonomous" "levels," "moments" and "practices" which are and occupy "distinct spaces as well as times" (286). In other words, culture is distinct from production, which is distinct from politics, which has little connection to the day-to-day lives of individuals. Just as the internet appears to writers such as Clay Shirky (Here Comes Everybody) and Yochai Benkler (The Wealth of Networks) to operate spontaneously and "organically," connecting multiple sites in multiple ways in contrast to any seemingly overarching logic, in Edwards' argument there is no way of drawing conclusions about the connections which connect political, environmental or economic contradictions to the exploitative logic of capitalism. As such, there is never a question about the material implications of exploitation as it becomes just one of a multitude of social forces without any overarching logic of determinacy. The image of capitalism which emerges in Edwards's analysis is a familiar one which reflects the past half-century of bourgeois economics. Just as theorists on the left and the right—from Daniel Bell (The Coming of Post-Industrial Society) and Alain Touraine (The Post-Industrial Society) in the 1970s, to Alvin Toffler (The Third Wave) and Jean Baudrillard (Simulacra and Simulation) in the 1980s, to Kenichi Ohmae (The Borderless World) and Stanley Aronowitz (Post-Work) in the 1990s, to Michael Hardt and Antonio Negri (Commonwealth) and Thomas L. Friedman (The World is Flat) today—have continually promoted the idea that capitalism is moving beyond labor as the source of surplus value under capitalism, Edwards argues that "the immediate space of production plays a lesser role in the reproduction of the relations of production than it might have done in the heyday of mass industrial production" (285) and that in place of class as an objective position in the social totality, "the notion of a 'class-in-itself' has to be jettisoned, for a social class is always a form of collective identity that can be realized only through shared practices and experiences" (295). Moreover, what Edwards is actually displacing is the fundamental division in the ownership of the means of production which defines class. He writes, the "capitalist class" has been "revived" as "a group of people who work in large financial and business corporations in metropolitan centers such as New York, London, Frankfurt, and Tokyo, have clear links to policy makers, are advocates of neoliberal ideology, and have materially benefited from neoliberal reforms" (295). In compiling this list, Edwards takes every effect of capitalism on the capitalist class—where they live, where they work, their political values, etc.—and mistakes this for the cause of their class power. However, their ability to live or work where they want, to send their children to certain schools, and whether or not they "believe" in neoliberal ideology has nothing to do with the source of their power—their ownership and control of the means of production which enables them to exploit the labor of workers. It is this fact which shapes all of the others. It is this ownership that allows them to extract and command the surplus labor of workers which produces the profits that empowers the ruling class to finance legislation that deregulates the economy and furthers the secondary effects of capitalism, such as environmental destruction and growing inequality, on which the "New Materialists" focus their attention. What "resistance from within" amounts to is the ideology that by resisting the "instrumentality" of capitalist culture in the use of commodities in "unintended" ways you are somehow rejecting capitalism itself, when in reality you are simply acting as an agent of the market, finding new avenues for commodity production and thus the expansion of the control of capital. Just as new products have to differentiate themselves in the market in order to promote the illusion of "consumer choice," the bourgeois managers have to differentiate their ideas from one another in order to sell their textwares in the marketplace of ideas. What is said to differentiate New Materialism from the other theories of the social is its close engagement to the everyday phenomena which make up human experience. As Coole and Frost write, in a globalized, networked world, "phenomena are caught in a multitude of interlocking systems and forces" (9) and thus "material phenomena" have to be "conceptualized not as discrete entities or closed systems, but rather as open, complex systems with porous boundaries" (15). To achieve this, the New Materialists turn from textualism and cultural materialism to phenomenology which, they claim "introduce[s] elements of creative contingency, meaning, difference, efficacy, and a limited freedom for improvisation or resistance into nature before cognition begins" (20). What phenomenology enables is an ideological redefining of the contradictions of capitalism as no longer between capital and labor, but rather as an expression of the Kantian conflict between "nature" and "cognition" and thus transcendent of any specific social, political and, above all, economic relations. The turn to phenomenology is not accidental. The phenomenological line in contemporary bourgeois theory which can be traced through Husserl, Merleau-Ponty, and Heidegger emerges at the beginning of the 20th century alongside of the rise of the imperialist era of capitalism and represents what Lukács describes as "reactionary answers to the problems to do with the class struggle" (Destruction 9). This period, as Chris Harman points out, marked the beginning of the "multinational" phase of capitalist organization and, as a result of two world wars and the subsequent conflicts between the capitalist and socialist blocs, reflected a level of economic interconnectivity between national capitalists not reached again until the onset of globalization ("Globalization: A Critique of a New Orthodoxy"). Then, as now, what was necessary was a "third-way" philosophy which could "conjure up all the necessary elements of Weltanschauung [world-view] without renouncing, de facto, and publicly, the agnosticism of subjective idealist philosophy and without revoking that denial of a reality independent of consciousness which had become crucial to anti-Materialism" (Lukács, Destruction 412). That is to say, bourgeois ideology could not ignore the emergence of a world market and the need to understand an increasingly complex system of production, and yet, at the same time, could not face the reality of the material world which was riven with heightening contradictions between capital and labor that would eventually result in two capitalist world wars and anti-colonial and workers' revolutions across Europe, South America, Africa and Asia. Thus, what emerged was a "third-way" theory to operate in an in-between space between idealism and materialism and, moreover, between capital and labor, as a way of responding to the contradictions of the existing while bracketing off any investigation of its historical and material basis. It was in this context that phenomenologists sought to create a "new style of attitude" (Husserl, Ideas I xix) which claimed to provide a way out of social and philosophical conflicts by challenging the "natural attitude"—or what Husserl described as the dominant philosophical "intentionality" which, in the case of the instrumentality of industrial science, presumed the existence and meaning of things and people as they (appear to) exist within "horizons" of perception, rather than questioning that existence itself. Challenging the ideas of both subjective idealism and historical materialism, phenomenologists argue, would unite "extreme subjectivism and extreme objectivism in its notion of the world or of rationality" (Merleau-Ponty xvii) and create a third space between the warring classes and their philosophical representatives. That is to say, when we "talk about objects" we are doing so, Husserl proposes, from within a anticipatory framework in which the perceiving subject takes as given the objects it "sees" as well as displaces the fact that this "seeing" is shaped in advance by the expectation of the existence of the world from within the terms of the conceptual framework. According to Husserl, what are represented within specific frameworks of "intentionality" as "matters of fact," and therefore "absolute" grounds from which to determine the meaning of experience, are not actually factual, but displacements of fundamental essences from the perspective of "one-sided adumbrations" (Ideas I 9). The issue is that the dominant mode of "intentionality" or the "givenness" of things which one arrives at through human perception reflects the very limits of perception in that "the perception of a physical thing involves a certain inadequacy. Of necessity, a physical thing can be given only 'one-sidedly'" (Ideas I 94). The thing, in reality, is what Kant referred to as "noumena" or the "thing-in-itself": "transcendent to the perception of it and consequently to any consciousness whatever related to it" (Ideas I 89). Thus, while science and materialism represent themselves as having grasped the "ground" of reality within experience, they remain instead trapped within an intentionally which fails to move beyond appearances to grasp the "essences" of reality, while assuming that their one-sided perception is equivalent to the multiplicity of reality itself. In other words, they do not take into account the role of consciousness and its relation to the "life-world" (Libenswelt) from which it emerges as an object of study in itself, but rather presuppose this relationship without inquiring into the conditions in which one interacts with the other. What Husserl calls "eidetic" truths which uncover the "pure essence" of reality expose the ways in which the dominant "perceptions" of reality—whether scientific or economic, cultural or political—are instead built upon a false sense of an "absolute" totality that fails to grasp that a "physical thing is transcendent to the perception of it and consequently to any consciousness whatever related to it" because they remain at the level of the particular which is mistaken for the universal (Ideas I 89). Instead, Husserl claims the ability to gain access to the "pure essences" which transcend that which appears to the individual at any specific moment by recognizing, first, the multiplicity which always exceeds the perceptional horizon of any singular consciousness and, second, through a process of philosophic reduction which removes the intentionality which is presupposed in advance of one's interaction with the object, find that which is essential to the multiplicity and unites it independently of perception. He writes, "in this 'pure' or 'purified' theoretical attitude, we no longer experience houses, tables, streets, or works of art; instead we experience merely material things" (Ideas II 27). In other words, one must distinguish between the thing as it appears in intentionality of human perception, which thus by presuming an existence in advance actually turns the object into something other than itself, and the thing as an independent and transcendental object that exceeds the horizon of perception. As an example of phenomenological reduction, Husserl describes the difference between transcendental and immanent knowledge which emerges during the experience of perception of a table. On the one hand, the transcendental essence of the table "can exist without being perceived, without even being potentially intended to" (Ideas I 87) and, on the other hand, "the table-perception is a continually changing one" and that upon returning to perceiving the table after closing his eyes, the perception is not "under any circumstances, individually the same" (Ideas I 86). The problem, according to Husserl, is when one perceives the object from a singular perspective which does not seek the "idea" of the table as it is emerges through intuition, but instead presumes this singular perspective represents the absolute essence of the table. That is to say, any focus on the table as it appears in the subject's perspective risks mistaking the immanent experience of the table for its transcendental qualities if one does not "bracket" out any instrumental or scientific intentionality that presupposes the meaning of the table. Instead, through the philosophic reduction, we seek out the essence of the table beyond that which exists in any particular moment, such that, for Husserl, it is sometimes possible to learn more about the transcendental essence of an object which exists as "in data of mere phantasy" (Ideas I 11)—that is, one which exists purely in the mind—as one that exists in material reality. In this depiction of philosophic reduction, what emerges from Husserl's phenomenology is an entirely static and ahistoric theory of reality, in which the causes of the contradictions of the social world are sought not in the material conditions of production under capitalism but instead become a consequence of antimony between "appearance" and "essence." Of course, while Marx too argued that "all science would be superfluous if the outward appearance and the essence of things directly coincided" (Capital Vol. III 804), the limit of Husserl's de-coupling of appearance and essence is that it represents the essence of reality as that which exceeds human labor and thus operates outside of human agency. In this sense, phenomenology represents an idealist response to the reification of life under capitalism by turning the "essence" of reality into that which is given and instead seeks to "purify" human consciousness of instrumental intentions. The problem, in short, is at the level of ideas, rather than in the social. Ideas are severed from the social and take on an independent existence which remains divided from the materiality of reality. In turn, the materiality of reality becomes transcendental and thus beyond the realm of revolutionary transformation. The solution to social and philosophical conflict, in other words, is escape into a transcendental realm of pure ideas, beyond the messy reality of class society. To return to Husserl's example of the table from the position of historical materialism, of course my perception changes as I move and, in the same way, I am able to understand that my perspective of the table at a particular moment might be limited. Yet, to assume that my ability to perceive the table as a "unity" means that there is a transcendental essence to the table is to erase that the table is a historical object which exists because of human labor. To "intuit" the table as Husserl proposes means stripping it of its historical existence and instead approaching it as a static object. But a table is not a "table" outside of the material conditions of society. My perception of the table is not independent from these conditions. If I see the table as an alien object which exists independently of human agency, it is because society has turned it into such by turning it into a commodity. That is, what the "eidetic" truth of reality exposes is the impossibility of ever knowing the transcendental essence of reality beyond the immediate, sensory phenomena which obliquely and indirectly manifest the underlying essence of reality because it is only through this collapsed and indistinguishable relation between subject and object that "Being" as such exists. Thus, while objective thinking reduces "all phenomena which bear witness to the union of subject and world, putting in their place the clear idea of the object as in itself, and of the subject as pure consciousness" (373), such a distinction between subject and object is, he claims, ultimately impossible. What Merleau-Ponty argues is that in contrast to classical empiricism, historical materialism, as well as subjective idealism, all of which he sees as isolating the subject from the object, "the thing is inseparable from a person perceiving it" (373). He writes, "the system of experience is not arranged before me as if I were God" (354), but instead "things and instance can link up with each other to form a world only through the medium of that ambiguous being known as subjectivity, and can become present to each other only from a certain point of view" (388). In other words, what Husserl posited as the possibility of reaching "transcendence" through intuition becomes for Merleau-Ponty an awareness that such transcendence is impossible because objects and subjects exist simultaneously in a constantly changing and interconnected relationship without any transcendental outside. Being, in other words, exists only in the interconnected immediacy of experiential immanence which is neither transcendental nor knowable because there exists no "outside" perspective with which one can understand the relations between the social and the natural world as a totality. A "field," in other words, is a self-reflexive framework in which the subject is able to perceive the interconnections between things, but does not assume that these interconnections have any explanatory value which might exceed the subject's perception of them, even as the subject of phenomenological thinking remains aware that the perception cannot capture the complex multiplicity of intentions which define reality. In this sense, anything the subject might assume about the world which is not immediately connected to their experience is an extension of the anticipation that one has in advance through the mode of intentionality with which one approaches the world. One is "aware" of the multiplicity of the world, that there are deep interconnections which shape it, but unlike Husserl, Merleau-Ponty claims no further perspective which might be able to "know" in an absolute sense the full and transcendental meaning of an object. As such, Merleau-Ponty essentially draws out from Husserl the full idealism which was latent in his concerns about "transcendental essences," even as he claims to return to the ontology of experience that he believes Husserl had abandoned. In concluding that the transcendental is an idea which exceeds the subject's ability to know, and that the "pure" experience which Husserl sought is one in which the subject/object binary is replaced with an indeterminate structure of experiential interconnections the logic of which does not exceed the immediacy and immanence of those connections, reality becomes even more elusive to critique. From Merleau-Ponty's perspective, I cannot know the "transcendental essence" of Husserl's table, but only know that the table and I exist in a limited relation of perspective to one another during the immanent moment of encountering one another. Having dismantled all binaries such as the natural and the social, the inside and the outside, the subject and the object through which it becomes possible to grasp the dialectical role of human labor in emerging from reality and, in turn, shaping reality as it exists, what we are left with is nothing more than a pragmatic response to experience that must approach each moment as an immanent "in itself," with no prior history and no possibility of leading to any future agency. In the guise of embracing ethical multiplicity, reality becomes contingent and without any determinacy. Once again, what we perceive at any moment is not uncovering what connects the complex manifestations of reality that would enable us to transform them, but rather simply "revealing" and "reveling" in the limits of immanent perception which take place during experience, as if experiences simply and spontaneously "happen" independent of any social structure. In the image of a de-materialized writing practice, all of the historical realities of production which shaped writing as a social practice are erased and instead are filled with myths, legends, and empty narratives about the uniqueness of the singular experience of writing. It is not accidental that one of the conclusions all "left" bourgeois theories reach is that class is somehow a "voluntary" relationship with no necessary connection to the relations of production. In this way, they salvage private property relations while retaining the appearance of radicality by recognizing the "difficulties" of revolutionary change. The fact which Merleau-Ponty celebrates here, in which class consciousness does not mechanically "co-incide" with one's position in the division of labor, is not some radical discovery. As Marx and Engels write, the "organization of the proletarians into a class, and consequently into political party, is continually being upset again by the competition between workers" which is forced upon them under the conditions of capital (Manifesto 493). In other words, it is the material conditions which create the "co-incidence" that brings people together as members of a class, but these conditions exist outside of any immanent moment of the capitalist system and, through historical materialist critique, can be known and transformed precisely for this reason. As a result of the very kind of "eventism," or inability to connect the various crisis of capitalism to its economic organization that New Materialists celebrate, "private" workers do not support "public" workers, "American" workers do not support "Chinese" workers and so on, because the material reality of having to compete to sell their labor on the market leads to the illusion that other workers, rather than the owners of capital, are their enemies and the source of the contradictions in their lives. The fact that class consciousness is not mechanically reducible to the materiality of class is an expression of the fact that "life is not determined by consciousness, but consciousness by life" (German Ideology 155). In order for a class to become conscious of its interest, the material conditions for its existence must be first in place. In other words, the move from a class-in-itself to a class-for-itself is precisely the role of revolutionary theory in the struggle for social change, but such a transformation cannot take place if the material conditions for the existence of classes are not present. The inversion of this relationship by phenomenologists—in which it is not the reality of private ownership which creates class divisions, but rather ideas about class which do so—effectively cuts off any discussion of the causes of social inequality, and instead makes them an individual and local problem. New Materialists, like their phenomenological guides before them, essentially say about the working class, "this contradiction is their own contradiction and this predicament their own predicament, whereupon they should either set their minds at ease, keep their disgust to themselves, or revolt against it in some fantastic way" (Marx, German Ideology 169). In the guise of addressing the "local" and "contingent" manifestations of capitalism's brutal system of exploitation, the phenomenologists and their current New Materialist standard-bearers retreat entirely into a mystical realm of conflicts between "essences" and "appearances," "ideas" and "things," and "man" and "nature," while simultaneously representing these realms of being as eternally and fundamentally divided. "Nature" becomes the transcendental heaven which "man" will never reach. Instead of a material solution to real contradictions, it becomes a spiritual guidance for the phantasy economics of imagination. Thus, whether the economic foundation of society is nomadic, feudalist, capitalist or socialist, the conditions which shape the "everyday" existence of society are to be found in the organization of social production. In this sense, the "total act of production" which Marx describes here is the basis upon which all of the manifestations of capitalism emerge—from hunger and poverty for the many to the extreme accumulation of private wealth for a few—and which end up naturalized and accepted in the "materialisms" of contemporary bourgeois theory as the imperceptible background against which events spontaneously "erupt" without any overarching structure. In other words, while the New Materialists focus their attention on the material inequalities capitalism produces, they obscure the conditions which create these inequalities. Inequality, however, is an effect of exploitation at the point of production. The ownership and control of the means of production by capital means that no amount of redistribution to address social inequalities will ever remove the cause of that inequality. Far from explaining the myriad crisis that capitalism now finds itself in, theories such as what is being called the "New Materialism" contribute to its reproduction by obscuring that underneath the diverse crises of capitalism it remains a system built upon the exploitation of labor by capital. In dividing reality into the phenomenal experience of consciousness against an unknowable "materiality," New Materialism ultimately occupies the same ideological role as phenomenology did in the early imperialist period in which a descriptive theory "confronts consciousness with the chaos of things (and men)" (Lukács, "Existentialism" 139). This "chaotic" consciousness fractures the social totality at the level of thought and, in turn, creates a conceptual language in which to isolate and separate all the aspects of capitalism into distinct spheres to be addressed in their "own" terms. That is, New Materialism, like phenomenology before it, is so effective an ideology for global capital because it turns the historical study of the existing conditions of life into a series of autonomous spheres without any overarching logic. This has become especially important with the rise of "finance capital," which has come to be represented in bourgeois theory as an entirely distinct and "new" form of capitalism and the driving force between both the possibilities and limitations of an "austerity" economy. The "Age of Austerity," in which bourgeois politicians are responding to a declining rate of profit by attempting to destroy the last remaining vestiges of the "welfare state" across Europe and the United States, is not a cause of crisis in itself, but a reflection of the heightening of the fundamental contradictions between capital and labor over the control of the productive forces of society. 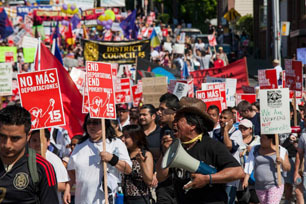 The expansion of labor productivity and the interconnectedness of production which has marked the past thirty years of global capitalism and which could be put to meeting the needs of all is, instead, threatening the conditions of life for the world's majority. While the capitalist class is now attempting to secure profit rates by claiming massive amounts of the social surplus produced by workers through bank and State "bailouts," the majority of working people are told they have to learn to "cope" with the consequences of decimated wages, eliminated pensions, and declining housing, education, and health care (Harman, Zombie Capitalism 231-238). As the deepening of this conflict between the forces and relations of production comes to the surface of social life, theories of society become one space in which the class conflict is also fought out by either explaining that the cause of the current social crises rest in capitalist production and can only be eliminated by replacing capitalist with socialism, or rush to the defense of the existing system and "sell to the master his means of lordship, spirit objectified (versachlicht) into method" (Adorno 15). The contradictions of "austerity" capitalism—in which the development of an "extraordinarily dense and widespread network of relationships and connections" is "concentrated in a few hands" (Lenin, Imperialism 285)—are not a matter of "bad" politicians or "corrupt" culture, but the consequence of a system of exploitation. Yet, if one examines the arguments of bourgeois theory, all one will find are arguments that place the blame on "poor" ideas, even as they decry issues of poverty, inequality or ecological destruction. This displacement of the actual conditions of existence in favor of a one-sided, idealist depiction of "reality" is what is now being reflected in the work of bourgeois ideologues in calls for returning to a "phenomenal" theory of society. Whether it is the theory of "commonwealth" advanced by Hardt and Negri (Commonwealth), Žižek and Badiou's neo-Platonic communism (The Idea of Communism), Sloterdijk's "spatial" theory of history (Bubbles), Luhmann's "systems theory" (Social Systems), Agamben's "state of exception" (Homo Sacer), or the turn to the "biopolitics" of ecology and animal studies (Wolfe, Before the Law), the return to questions of "material reality" continues the phenomenological erasure of the actual reality in favor of an idealist reading of materiality without labor. This turn reflects the fact that bourgeois theory of the post-World War II period which focused on the deconstruction of materiality in favor of "materiality without matter" no longer meets the needs and complexities of capitalism's global reality. Just as phenomenology became popular among the left in the beginning of the 20th Century because of the ways in which it gave the illusion of materialism to an idealist world-view, what is required today is a more "encompassing" perspective of material reality which can "manage" the complex inter-connections of global production, financial markets, derivative exchanges, and intercontinental political and military conflict. In other words, as capital expands globally, so must its philosophical representatives take on a "global" framework while nonetheless continuing to denying basic causality of the economic realities of capital's private ownership of the means of production. In this sense, he says, "the apparent 'radicality' of some postmodern trends should not deceive us here: this―often spectacular―'radicality' is there to fascinate us with its deceptive lure, and thus to blind us to the fundamental absence of thought proper" (Less than Nothing 255). Instead, addressing what Žižek has claimed are the "four riders" of a coming capitalist apocalypse—"ecological crisis, the consequences of biogenetic revolution, imbalances within the system itself…and the explosive growth of social divisions and exclusions" (Living in the End Times x)—he calls for a new kind of "radical" politics which reflects both the global realities of the contemporary and yet refuses any kind of totalizing answer or political program. He writes, for instance, on "returning" to Lenin, "'Lenin' is not the nostalgic name for old dogmatic certainty; quite the contrary, the Lenin who is to be retrieved is the Lenin whose fundamental experience was that of being thrown into a catastrophic new constellation in which the old co-ordinates proved useless, and who was thus compelled to reinvent Marxism" (Revolution 11). For Žižek, "communism" names the "problems of the commons," which is his way of ethically acknowledging human suffering while in the process reducing materiality to a bodily affect (trauma). The "problems of the commons" are those that "affect" us all and that therefore require communal solutions—which is his way of obscuring the class relations. As in Derridean "materiality" what is material here is that which eludes representation and at the same time constitutes it as an ethical imperative. Crisis is taken as the precondition for the political event invested with the power to remake the social that itself cannot be explained as caused by the laws of motion of capitalism. The idea that we have to address the consequences of capitalist production while nonetheless embracing the notion that any sustained critique of the economic relations of capitalist production cannot account for the "catastrophic new constellation" is an instance, as Lenin argues, of how bourgeois scholars routinely respond to the contradictions of capitalism by pushing "specific and secondary details into the forefront" while "do[ing] their very best to distract attention from essentials by means of absolutely ridiculous schemes for 'reform'" (Lenin, Imperialism 286). The piece-meal, phenomenological "materialism" offered by bourgeois theorists attempts to block any understanding of the fundamental logic of capitalism in favor of the study of an unending stream of local "events" such as environmental or financial crises which, writers such as Žižek claim, exceed any connection to the exploitation of labor by capital. As such what they "reinvent" is not Marxism or even materialism, but the "thousands of shades of varieties of philosophical idealism" (Lenin, Materialism 268). An intensive focus on the collecting of secondary effects of capitalism rather than understanding the social whole is the core logic of the New Materialist movement. Returning to the Introduction to New Materialisms by Diana Coole and Samantha Frost, they argue that as "human beings we inhabit an inevitably material world. We live our everyday lives surrounded by, immersed in matter. We ourselves are composed of matter" (1). The problem, they write, is that "the more textual approaches associated with the so-called cultural turn are increasingly being deemed inadequate for understanding contemporary society" (3). Instead, in the contemporary moment our lives are "embedded in dense networks of power" (2) in which "our existence depends from one moment to the next on myriad micro-organisms and diverse higher species, on our own hazily understood bodily and cellular reactions, and on pitiless cosmic motions, on material artifacts and natural stuff that populate our environment, as well as socio-economic structures that produce and reproduce our everyday lives" (1). 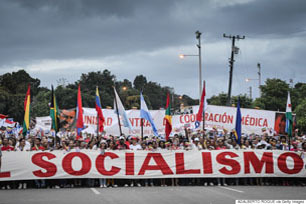 Assuming that the failure of Marxism is that that "the capitalist system" cannot be "understood in any narrowly economistic way" but rather only "as a detotalized totality that includes a multitude of interconnected phenomena and processes that sustain its unpredictable proliferation and unexpected crises, as well as its productivity and reproduction" (29), their "radical" appraisal of materialism is a call to recognize the "forces, energies, and intensities (rather than substances) and complex, even random, processes (rather than simple, predictable states) [which] have become the new currency" (13). In proposing a phenomenological materialism which embraces "unpredictable proliferation and unexpected crises," the proponents of New Materialism are advancing an updated version of the Kantian form of materialism which appeals to the images of reality while undermining the very concepts through which reality can be understood. While Kant's transcendental idealism represented an important theoretical advance beyond what Hegel calls the empirical limits of "sense-consciousness" (15), to return to Kantian materialism today is to render "reality" a disconnected series of material events without causality. In this neo-Kantian version of materiality, the financial crisis in Greece, Spain, and Italy is unconnected to the ecological crisis, is unconnected to the housing crisis, is unconnected to… In other words, each manifestation of social crisis becomes an event in itself, and in turn requires a new logic and new understanding to address it. In this sense, the diversity of crises now confronting capitalism becomes not the evidence that something is fundamentally wrong with the system of exploitation, but rather precisely the "proof" that the social totality does not exist and, as such, cannot be transformed through any revolutionary project. The rise of New Materialism speaks to both the globalization of capitalism, which requires an "awareness" of connections and an ability to manage diverse events, experiences, and cultures without ever drawing any broader conclusions about the system itself, and the inability to address the causes of the very crises they acknowledge threaten the world which itself results from the expanding global division of labor under capitalism. In fact, as one of the contributors to the collection, Rey Chow, muses, "What if we were to adopt Marxism's focus on materialism/materiality (as a way to critique consciousness), yet without defining it (as Marxism tends to do) as an agency of change-as-improvement?" (224) Gone, according to the proponents of "New Materialism," is any possibility of "change-as-improvement" on a grand scale that even bourgeois society "promised" during its ascendency in the works of Locke, Kant, and Hegel and in its place is the "making do" and "coping" of the thinkers of the economic system in fundamental decline that is "austerity" capitalism. Within this framework, each object has the capacity to create "meaning" (another word for value) independently of human "intentionality" (which here acts as a code word for labor). It is such that "matter," defined as the local experience of existing in the world at a specific time and place, becomes the effect of ideas. How one "exists" thus has very little to do with the conditions of existence. The isolation of "existence" from the conditions which produce it takes as its starting point the presupposition that in the age of finance and austerity, capitalism's basic laws have been suspended and, instead, that society operates on an "eventful" logic without any totality. According to this model, what Marx calls "fictitious capital" (Capital Vol. III, 397-438), namely the surplus value extracted from labor that takes on the appearance in the market as credit, stock shares, debt, speculation…, which in today's economy will find its most acute expression in what are called "derivatives" (388-397), is in contemporary theory mixed with "real capital" (461-516), creating the spectral image of a new "hybrid" form of capitalism. For example, among post-Operaismo thinkers such as Antonio Negri and Paulo Virno, finance capital is said to be "radically new [in character]" such that the very distinction between 'real economy' and 'financial economy'…is today unfounded from an analytic profile" (Mezzadra at al., Crisis in the Global Economy 10-11). What supposedly distinguishes finance capital from "real" capital is that it breaks with all past economic logics which could be tied to the material world of labor and is driven instead by what Derrida calls "spectropoetic" accumulation (Spectres of Marx 45) which "inscribes…a new set of givens that perturbs both the methods of traditional calculation and the conceptual opposition between work and non-work, activity, employment and their contrary" (81), or what Hardt and Negri call the "immaterial labor" of the multitude which "is not concerned with the production of objects for subjects, as commodity production is often understood, but the production of subjectivity itself" (Multitude x). Capitalism, it is argued, is more concerned with controlling the time and creativity of workers, rather than exploiting their labor. This is an expression of the theory of finance capital which dominates contemporary theory, in which finance is understood not as "simply in the service of accessible wealth" but as "a means for the acquisition of self" (Martin, The Financialization of Daily Life 3). According to this model, influentially articulated in bourgeois theory by Deleuze and Guattari, capital has ceased to be a system of labor exploitation and instead has become a global system of financial flows with "no industrial essence functioning other than as merchant, financial, and commercial capital" (Anti-Oedipus 249). Or, as Gibson-Graham write, finance "has set money free of the 'real economy' and allowed capital to seep, if not spurt, from the productive system" (End of Capitalism 137). According to the bourgeois theories of finance capitalism, money now creates value independently of the labor of workers, who are needed only to consume and submit to the dictates of a post-capitalist ruling class. While technology has given money the power of self-reproduction, all of those who do not labor—former capitalist and worker alike—are now "free" to exist as they wish, once they break the cultural hold that a non-exploitative capitalist machine has over them. In this context, what "matters" is no longer the materiality of labor and its subjection to exploitation by capital, but the ideas which shape how we individually "live" in the world. That is to say, this "dead labor" cannot create any value except as "the result of their contact with living labor" (Marx, Capital Vol. III 397). However, as the global division of labor expands, and as capital is put to use in increasingly distant and complex enterprises, it becomes even more difficult to "see" the connection between the exploitation of labor and profit. If the capitalist decides to turn over part of his surplus value to "finance" or "banking" capital in an attempt to secure a portion of the surplus produced in another enterprise, it does not mean that his capital has magically reproduced itself, but rather only can increase in value insofar as it is invested in productive enterprises. This is why Marx writes that "fictitious capital" is "pregnant in itself with a portion of present or future living labor" (Capital Vol. III 397). If the investment does not lead to the growth of productive capital, it is lost to the capitalist that invested it. This explains the current "financial crisis" now currently acutely effecting Europe and the United States. Trillions of dollars of investment has been "lost" in the sense that it has not resulted in the expansion of productive labor and, as such, capital is now trying to recuperate whatever it can through the appropriation of public surpluses. Austerity is thus not a policy that is "causing" inequality, but rather a political maneuver which is itself a response to the fundamental economics of the capitalist system launched by the representatives of capital in an attempt to maintain profitability at a time of economic instability. Consider, in this sense, how Rey Chow addresses the issue of money in her essay "The Elusive Material: What the Dog Doesn't Understand." Drawing upon Žižek's argument in The Sublime Object of Ideology that "a problem unsolved by Marx" is "the material character of money: not the empirical, material stuff money is made of, but of the sublime material, of that other 'indestructible and immutable' body which persists beyond the corruption of the body physical" (Sublime Object 12), she questions how the "immaterial corporeality" of money "come[s] into being in the first place" (227). Arguing that the "exchange of commodities" is similar in meaning as "the prayers and rituals in church, and the submissive acts (including speech acts) toward the Great Party Leader," she writes that the value of money is determined by "a certain iterative behavior" in which "mindless repetitions—repetitions that escape, that do not require 'consciousness,' as it were" are what "materialize" money and create its value (227). This is essentially the argument that one often hears about the creation of value on Wall Street, in which value is somehow created and lost through "bad" news, speculation, and even without any human interaction whatsoever. As a recent article investigating the use of software programs to automate the trading and selling of stocks put it, "machines run our stock markets—and our financial lives" (Klein). The idea that finance has become a self-creating, self-sustaining, and autonomous source of wealth is why Marx calls bourgeois theories of finance the "mystification of capital in its most flagrant form" (Marx, Capital Vol. III 390). Instead of finance as "only a portion of the profit, i.e. of the surplus value, which the functioning capitalist squeezes out of the labourer" instead it comes to "appear now, on the contrary, as though interest were the typical product of capital, the primary matter, and profit, in the shape of the profit of enterprise, were a mere accessory and by-product of the process of reproduction" (Marx, Capital Vol. III 390). It is a reflection of how massive the exploitation of labor by capital has become in the era of "finance capitalism" that capital appears to take on a life of its own. Just as a dollar cannot magically become two unless it contributes to the production, through labor, of new value, finance cannot act as an independent or autonomous sphere isolated from the "real" economy. In focusing on "mindless repetitions," Chow and others are simply decrying the alienating effects of capitalism, but not its underlying structure. It is not cultural repetition which is the commodity's source of value, but labor. "New Materialism," like phenomenology before it, is a reflection of capitalism in its most advanced forms. In their representation of autonomous and co-existing "realities" in which humanity is presented as being "thrust willy-nilly into situations where many conflicting forces are at work" and which "do not have any central line of development nor indicate any particular outcome," the New Materialists recreate the logic of the market in which "everything in life is a gamble" (Novack 322). This, however, is only the "meaning of life" when the means of meeting your needs have been stripped from you and you are forced to work to reproduce the life and wealth of another, as it is for the majority under capitalism. 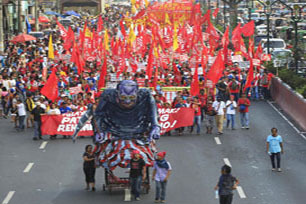 The alienated worldview in which the products of labor come to confront workers "as an alien power" (Marx, Economic 77) is the consequence of a society divided by exploitation. By defining the contradictions of capitalism as an eternal conflict between "humans" and "things," New Materialism has become the left logic of "austerity" capitalism because it focuses attention on managing production to minimize extreme manifestations of inequality while it simultaneously "pushes the question" of exploitation "away into a grey nebulous distance" (Marx, Economic 71). While phenomenologists propose "being filled with wonder" in the objects labor produces (Merleau-Ponty xv), as Marx writes, "man is not lost in his object only when the object becomes for him a human object or objective man. This is possible only when the object becomes for him a social object, he himself for himself a social being, just as society becomes a being for him in this object" (89). It is only by understanding the contradictions of capitalism in relation to their underlying logic in exploitation that the majority be able to change the conditions of the world, that objects will no longer appear as having a mystical and independent existence against and above humanity, and society will be directed toward meeting the needs of all. Adorno, Theodor W. Against Epistemology: A Metacritique: Studies in Husserl and the Phenomenological Antinomies. Cambridge, MA: MIT Press, 1983. Print. Agamben, Giorgio. Homo Sacer: Sovereign Power and Bare Life. Stanford: Stanford University Press, 1998. Print. ---. The Open: Man and Animal. Trans. Kevin Attell. Stanford: Stanford University Press, 2004. Print. Ahmed, Sara. "Orientations Matter." New Materialisms: Ontology, Agency, and Politics. Eds. Coole and Frost. 234-257. Aronowitz, Stanley, and Jonathan Cutler. Post-work: The Wages of Cybernation. New York: Routledge, 1998. Print. Baudrillard, Jean. Simulacra and Simulation. Ann Arbor: University of Michigan Press, 1994. Print. Bell, Daniel. The Coming of Post-Industrial Society: A Venture in Social Forecasting. New York: Basic Books, 1973. Print. Benkler, Yochai. The Wealth of Networks: How Social Production Transforms Markets and Freedom. New Haven: Yale University Press, 2006. Print. Chow, Rey. "The Elusive Material: What the Dog Doesn't Understand." New Materialisms: Ontology, Agency, and Politics. Eds. Coole and Frost. 221-233. Cohen, Tom. Theory in the Era of Climate Change: Volume 1. Ann Arbor: Open Humanities Press, 2012. Web. Coole, Diana H, and Samantha Frost. New Materialisms: Ontology, Agency, and Politics. Durham, NC: Duke University Press, 2010. Print. Deleuze, Gilles, and Félix Guattari. Anti-oedipus: Capitalism and Schizophrenia. Trans. Robert Hurley, Mark Seem, and Helen R. Lane. Minneapolis: University of Minnesota Press, 1983. Print. Derrida, Jacques. The Animal That Therefore I Am. Trans. Marie-Louise Mallet New York: Fordham University Press, 2008. Print. ---. Of Grammatology. Trans. Gayatri Chakravority Spivak. Baltimore, MD: The Johns Hopkins University Press, 1976. Print. ---. Specters of Marx: The State of the Debt, the Work of Mourning, and the New International. New York: Routledge, 1994. Print. Derrida, Jacques, and Anne Dufourmantelle. Of Hospitality. Stanford: Stanford University Press, 2000. Print. Douzinas, Costas, and Slavoj Žižek. The Idea of Communism. London: Verso, 2010. Print. Edwards, Jason. "The Materialism of Historical Materialism." New Materialisms: Ontology, Agency, and Politics. Eds. Coole and Frost. 281-298. Engels, Frederick. The Dialectics of Nature. Marx-Engels Collected Works. Vol. 35. New York: International Publishers, 1987. Print. ---. "Introduction to Socialism: Utopian and Scientific." In German Socialist Philosophy. Ed. Wolfgang Schirmacher. New York: Continuum, 1997. Print. 261-279. Esposito, Roberto. Bíos: Biopolitics and Philosophy. Minneapolis: University of Minnesota Press, 2008. Print. Foucault, Michel. Power/Knowledge: Selected Interviews and Other Writings, 1972-1977. New York: Pantheon Books, 1980. Print. Friedman, Thomas L. The World Is Flat: A Brief History of the Twenty-First Century. New York: Farrar, Straus and Giroux, 2005. Print. Fumagalli, Andrea, and Sandro Mezzadra. Crisis in the Global Economy: Financial Markets, Social Struggles, and New Political Scenarios. Los Angeles: Semiotext(e), 2010. Print. Gibson-Graham, J K. The End of Capitalism (as We Knew It): A Feminist Critique of Political Economy. Minneapolis: University of Minnesota Press, 2006. Print. Hardt, Michael, and Antonio Negri. Multitude: War and Democracy in the Age of Empire. New York: The Penguin Press, 2004. Print. ---. Commonwealth. Cambridge: Belknap Press of Harvard University Press, 2009. Print. Harman, Chris. "Globalisation: A Critique of a New Global Orthodoxy." International Socialism. 73 (1996): 3-33. Print. ---. Zombie Capitalism: Global Crisis and the Relevance of Marx. Chicago: Haymarket Books, 2010. Print. Hegel, G. W. F. Encyclopedia of the Philosophical Sciences in Outline, and Critical Writings. Ed. Ernst Behler. New York: Continuum, 1990. Print. ---. Hegel's Philosophy of Right. Trans. T M. Knox. Oxford: Oxford University Press, 1978. Print. Husserl, Edmund. Collected Works: Volume I, Ideas Pertaining to a Pure Phenomenology and to a Phenomenological Philosophy. Trans. Ted E. Klein and William E. Pohl. TNorwall, MA: Kluwer Academic Publishers, 1980. Print. ---. Collected Works: Volume II, Ideas Pertaining to a Pure Phenomenology and to a Phenomenological Philosophy. Trans. Fred Kersten. Norwall, MA: Kluwer Academic Publishers, 1983. Print. Kant, Immanuel. Critique of Pure Reason. Trans. Paul Guyer and Allen W. Wood. Cambridge: Cambridge University Press, 1998. Print. Klein, Alex and Matthew Zeitlin. “How Wall Street Computers Almost Killed Knight Trading.” The Daily Beast.com. 7 Aug. 2012. Web. 8 Aug. 2012. Lenin, V. I. Imperialism, The Highest Stage of Capitalism. Lenin Collected Works. Vol. 22. 1964. Moscow: Progress Publishers, 1977. 17-388. Print. ---. Materialism and Empirio-Criticism. Lenin Collected Works. Vol. 14. 1962. Moscow: Progress Publishers, 1977. 185-304. Print. Locke, John. An Essay Concerning Human Understanding. Ed. A D. Woozley. New York: Penguin Books, 1974. Print. ---. Second Treatise of Government. Ed. C B. Macpherson. Indianapolis: Hackett Pub. Co, 1980. Print. Luhmann, Niklas. Social Systems. Stanford: Stanford University Press, 1995. Print. Lukács, György. The Destruction of Reason. Atlantic Highlands, NJ: Humanities Press, 1981. Print. ----. “Existentialism or Marxism?" Existentialism versus Marxism: Conflicting Views on Humanism. Ed. George Novack. New York: Dell Pub. Co, 1966. 134-153. Print. ---. The Ontology of Social Being: Vol. 1 Hegel. Trans. David Fernbach. London: Merlin, 1978. Print. Lyotard, Jean-Francois. The Postmodern Condition: A Report on Knowledge. Trans. Geoff Bennington and Brian Massumi. 1984. Minneapolis: University of Minnesota, 1993. Print. Martin, Randy. Financialization of Daily Life. Philadelphia: Temple University Press, 2002. Print. Marx, Karl. Capital Volume I. Marx-Engels Collected Works. Vol. 35. New York: International Publishers, 1996. Print. ---. Capital Volume III. Marx-Engels Collected Works. Vol. 37. New York: International Publishers, 1998. Print. ---. “Economic and Philosophic Manuscripts of 1844.” The Marx-Engels Reader. Ed. Robert C. Tucker. New York: Norton, 1978. 66-125. Print. ---. Wage-Labour and Capital / Value, Price and Profit. 1976. New York: International Publishers, 1997. Print. Marx, Karl and Fredrick Engels. The German Ideology. Marx–Engels Collected Works. Vol. 5. New York: International Publishers, 1976. Print. ---. Manifesto of the Communist Party. Marx-Engels Collected Works. Vol. 6. New York: International Publishers, 1976. 476-519. Print. Merleau-Ponty, Maurice. Phenomenology of Perception. New York and London: Routledge, 2002. Print. Morin, Brit. "What is the Maker Movement and Why Should You Care?" HuffingtonPost.com. Huffington Post, 2 May 2013. Web. 15 September 2013. Morton, Timothy. Realist Magic: Objects, Ontology, Causality. Michigan: Open Humanities Press, 2013. Web. Novack, George. "Basic Differences between Existentialism and Marxism." Existentialism versus Marxism: Conflicting Views on Humanism. Ed. George Novack. New York: Dell Pub. Co, 1966. 317-344. Print. Ōmae, Ken'ichi. The Borderless World: Power and Strategy in the Interlinked Economy. New York: Harper Business, 1990. Print. Shirky, Clay. Here Comes Everybody: The Power of Organizing Without Organizations. New York: Penguin Press, 2008. Print. Sloterdijk, Peter. Bubbles: Microspherology. Los Angeles: Semiotext(e), 2011. Print. Toffler, Alvin. The Third Wave. New York: Bantam Books, 1981. Print. Touraine, Alain. The Post-Industrial Society: Tomorrow's Social History: Classes, Conflicts and Culture in the Programmed Society. New York: Random House, 1971. Print. Žižek, Slavoj. Less than Nothing: Hegel and the Shadow of Dialectical Materialism. London: Verso, 2012. Print. ---. Living in the End Times. London: Verso, 2010. Print. ---. Revolution at the Gates: A Selection of Writings from February to October 1917. London: Verso, 2002. Print. ---. The Sublime Object of Ideology. London: Verso, 1989. Print.